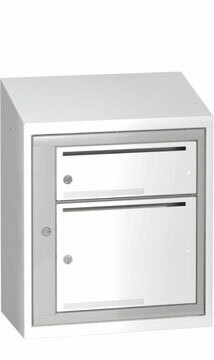 As a leading manufacturer of mail boxes in Sweden, it goes without saying that all our mail boxes exceed the quality requirements set by the SP Technical Research Institute of Sweden and the Postal Service’s network, Forum för Fastighetsboxar (Tenant Mailbox Forum) by a comfortable margin. Sonesson Inredningar’s mail boxes are made of high strength steel, powder coated in a variety of colours. 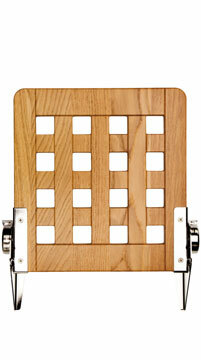 When you choose the colour, you also have the option to choose a different colour on the frame, slot and door frames. This makes our mail boxes unique. They are available in a variety of models in both landscape and portrait format. Each door is fitted with a EuroLock system lock. 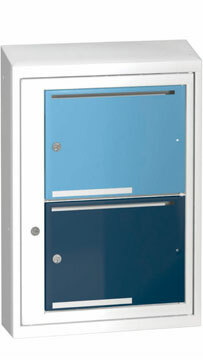 The mail boxes have a durable door frame with a central lock for the postman/woman. 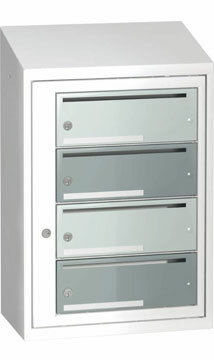 The double-section mail boxes are available with right and left-hand doors. 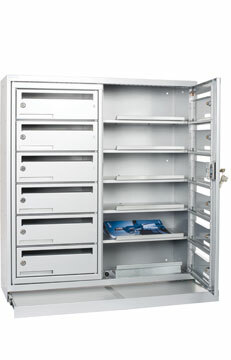 With single-section mail boxes, you choose which way you want the door to hang. Mail boxes are placed in a variety of environments. Panels clad with a durable high-pressure laminate help them slot into any environment. Our mail boxes are available with both a flat top and a sloped top.